The Hangover Run is a free event put on every New Year's day by the Long Island Road Runners Club. I ran it for the fourth time today and, for the second year in a row, I was accompanied by running buddies SIOR and TPP. This morning we were joined by SIOR's speedy daughter, a cross-country and track runner. It's usually freezing cold on New Year's day, so it's a challenge to choose the right running clothes. Too many layers will keep you comfortable prior to the start, but you can overheat on the run. I overdressed for warmth and regretted it. I ended up taking off my gloves and holding them in my hands during most of the run. It wasn't the overheating that got to me today. It was the nagging sciatica that has bothered me over the past few weeks. We all met up in the parking lot and headed toward the staging area about 15 minutes before the run was set to start. After signing our liability waivers we made our way towards the line. There were about 200 people congregated behind the time clock that counted down to the 9:30 AM start time. Without fanfare, we were off. I felt great and hoped that would continue for the duration of the run. About a quarter mile into the run, SIOR and SIOR Jr passed me and continued on ahead. TPP did the same at the 3/4 mile point and I saw, after the turnaround, that she'd caught up with the SIORs. 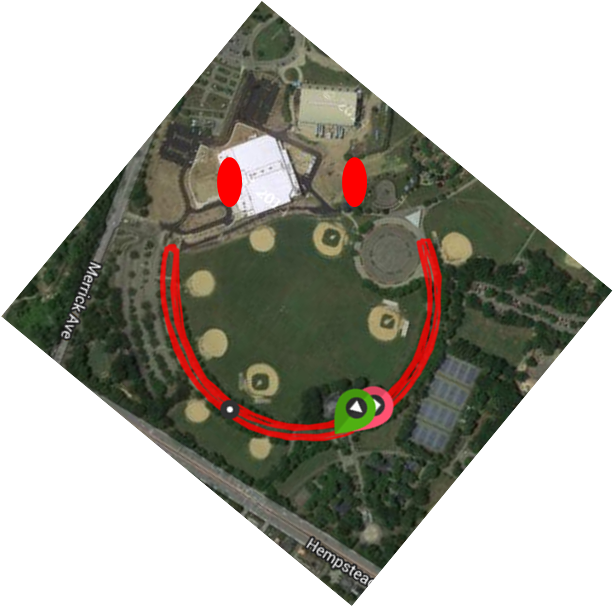 The course is a one mile loop with a suggested distance of five miles, so I was able to chart the progress of the others as we passed back and forth. The soreness started on the second mile and increased as the run continued. I felt like I had another gear but I was reluctant to put too much on the injury. I still don't know the nature of the problem, so I'm being careful about hard I push. I picked up my pace a few times during the last mile and that resulted in my second fastest split. I came through the last mile, with an overall time of 51 minutes. My friends were all waiting for me at the finish. As tradition dictates, we headed to Starbucks for coffee and conversation that included a deep analysis of the film 2001: A Space Odyssey. We don't always talk about running. Happy New Year to everyone. It's nice to start the year with a challenging run, especially when it happens with great people. I wish we had taken pictures. Oh well. The "SIORs"! I know. We need to remember to do that every time. Let's put TPP in charge of it.